The Victorian Government has agreed to set aside 2,000 hectares of forest in East Gippsland to help protect three threatened species of owl. An agreement was reached on Friday between Environment East Gippsland and the Victorian Department of Environment, Land, Water and Planning (DELWP) before the case was scheduled to appear in the Supreme Court. Owls, gliders, frogs, bandicoots, potoroos and untold other species were wiped out in the 2009 Black Saturday inferno. It will take decades for the damage from this shockingly managed fire to start to recover. East Gippsland’s rare species that relied on the Snowy Park for refuge will now be under even greater threat and need all the help they can get. Environment East Gippsland’s Jill Redwood said it was a “fairly significant” win for the threatened Sooty, Masked and Powerful Owls. The State government is responsible for the implementation of the Wildlife Act, and environmental protection laws, but they are the convicted eco-criminals here! Brown Mountain’s remaining unprotected stands of 580ha (including a Powerful Owl nest site) to be included in a Special Protection Zone, including 185ha that was scheduled for VicForests logging. When the law-enforcers end up as the law-breakers, the public must take action! Click here to listen to Jill Redwood, Nathan Trushell and Nina Cullen. The three key species of threatened forest owls that live in areas of Victorian State Forest that VicForests operate within are the Powerful Owl (Ninox strenua), Masked Owl (Tyto novaehollandiae novaehollandiae) and Sooty Owl (Tyto tenebricosa). This 10 month case sought to enforce the state government’s obligations to protect 3 threatened owl species – the Sooty, Masked and Powerful Owls. Environment East Gippsland argued that the government had failed to protect the legal minimum habitat for threatened owls, and that bushfires in 2014 destroyed large areas of protected owl habitat. 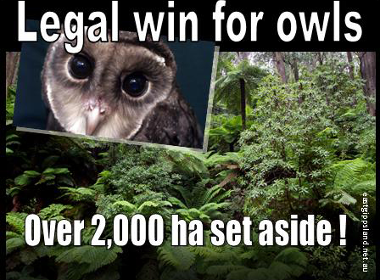 Meanwhile, VicForests had plans to continue clearfelling unabated in areas where the rare owls survived. “This agreement is one step in the right direction – but the most cost-effective way to protect threatened wildlife and avoid future legal disputes is to permanently protect their habitat, especially all remaining old growth forests in East Gippsland. 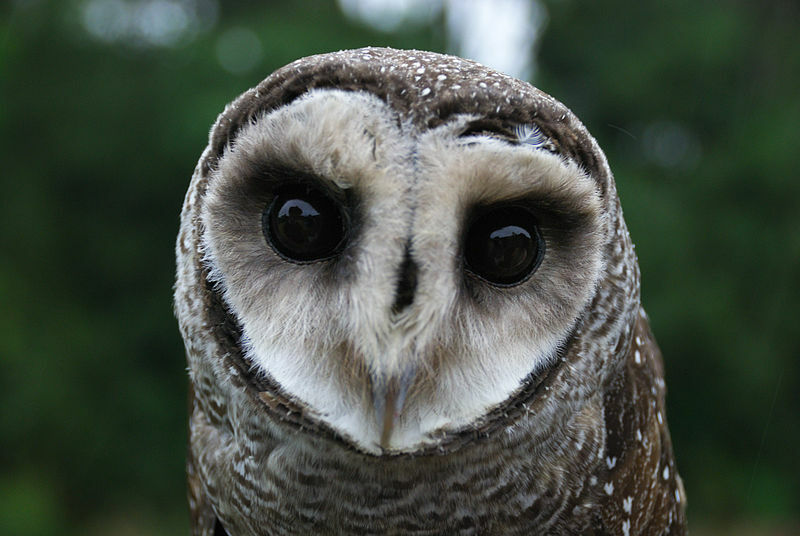 The owls are just one of so many rare native animals in need of urgent protection. We hope to see the new Labor government works with the community to find win-win solutions, rather than paying out $5.5 million a year for VicForests to continue clearfelling critically important habitat”.